Naruto is a bit of a household name the world over. Even someone who’s never watched the anime could probably identify a Naruto cosplayer in a crowded room. There’s something immediately arresting about the character; maybe it’s the distinctive outfit, or a certain catchphrase. Regardless of what it is, one thing is clear – he’s bloody popular. Luckily for those wanting to cash in on video game crossovers of popular manga, popularity is really the only factor that appears to merit consideration. We’ve seen a myriad of Sword Art Online crossovers (of varying quality), and other titles based around Shonen Jump characters that never quite got off the ground. Naruto to Boruto Shinobi Striker occupies a comfortable place between those that have aimed high and those who aspire to little more than basic playability. It looks good and it feels good, but it has very little meat on its bones to savour. Naruto to Boruto Shinobi Striker, as the name suggests, involves characters from the original Naruto series as well as the series about his son, Boruto. Aside from being fascinating insight into ninja naming conventions, what this combination of timelines means essentially is that you have more in-universe characters to muck around with. In the vein of Sonic Forces, you’re asked to create an OC of your own to enter a virtual reality simulation of Konoha and its environs. 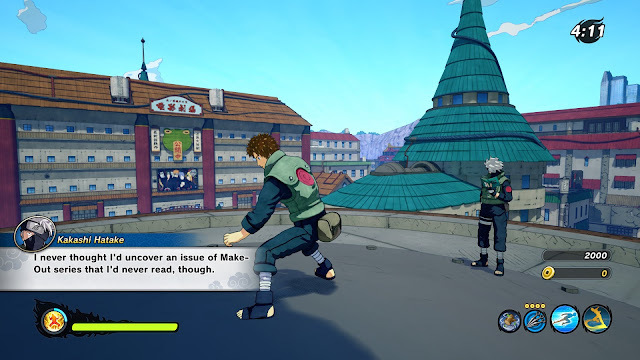 It’s not quite clear how humanity got its hands on this sort of tech, and there’s definitely some uncomfortable questions about whether the Naruto timeline is posited as reality in the game, but it’s made clear quite quickly that those issues are secondary. Once you decide what you want to look like (spoiler: it’s just different sized humanoids with slight variations in skin colour and skin tone), you’re shipped off into the game’s admittedly short tutorial. It’s perhaps worth noting that the tutorial will keep things simple and straightforward. You, in all your wisdom and glory, get to sprint around bopping other wannabe ninjas on the head. You’re taught how to do that, how to bother with the usual intricacies of blocking and perhaps most importantly, how to run up walls. After that, Naruto to Boruto Shinobi Striker is rather happy to unleash you into the world to carry out your own specific brand of shinobi chaos. You’ll get to wreak havoc in game modes that can really be broken down into two categories: singleplayer and multiplayer. 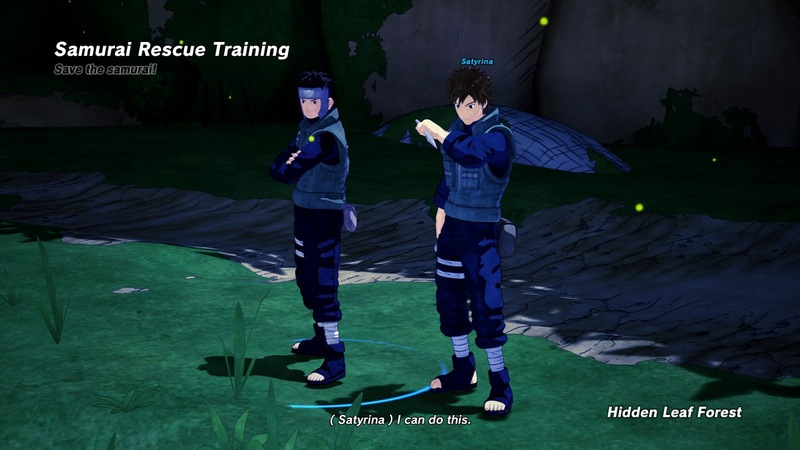 The singleplayer makes use of the aforementioned VR technology to allow players to revisit some of the more famous moments from the Naruto series. The Ultimate Ninja Storm titles of yesteryear were focused heavily on match-ups between fan favourites. You don’t have that same pedigree to rely on here in Naruto to Boruto Shinobi Striker; instead of pitting Naruto and Sasuke against each other in some kind of grudge match, your OC is given the chance to pick a mentor out of a few select ninjas from the series. For example, you could go with Sasuke, Naruto, or even Yamato if your heart desired, and you can learn from more than one mentor during your journey. Each mentor imparts their own unique technique to you that you can use in combat – this is about as close as the game comes to actual build paths in terms of combat customisation. There’s cosmetics to be won when you get a leg up in the singleplayer mode as well, but outside of that, slogging through the muck on your own doesn’t come with many other worthy rewards. Enter the multiplayer mode. 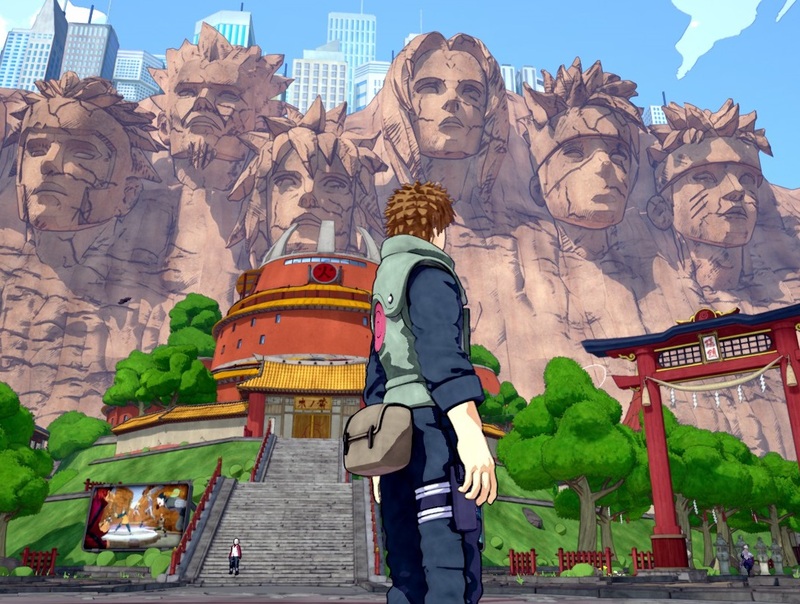 Naruto to Boruto Shinobi Striker spends more time than seems necessary connecting you to servers and online sessions, and even despite that, it still takes a decent amount of time to queue into a match with other people. However, when you do manage to find a group of others to take on, that’s where the title truly shines. Yes, it’s a little messy orchestrating a 4v4 of combat proportions when everyone’s free to wall jump, range harass, and generally clamber all over an arena like over caffeinated monkeys. 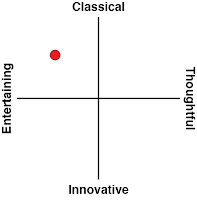 That being said, tracking the chaos is part of the fun. It’s up to you and the other strangers that have been roped onto your team to piece together victory in matches with traditional objectives like capture the flag. Multiplayer combat feels fluid and quick because of how much mobility is encouraged within the maps, and the interactions of various jutsus are quite spectacular to watch. However, unlike Overwatch where you can clearly signal your intention to play a particular role and see what your teammates will be bringing to the table, it’s a bit of a grab bag of jutsus when you load into a multiplayer match. On a team with 3 other Healer mains against people running one-hit KO damage jutsus? There’s really nothing you can do in a situation like that, which is more than a little frustrating. Everything looks really pretty when you’re in the heat of battle, but that only goes so far if you’re being beaten into the ground in multiple matches with no way forward. Additionally, with multiplayer being so team focused, it can be hard to feel like you’re rewarded for truly mastering a particular type of jutsu or playstyle; if the rest of your team is lining up to be knocked out by the enemies, it doesn’t really matter that you can pull off a perfect wall jump roundhouse kick combo followed up by Yamato’s signature Silent Strangle. After the 1v1 combat of Ultimate Ninja Storm garnered a lot of praise, this is a change of direction that might irk fans who enjoyed the laser focus of the previous Naruto titles. That being said, Naruto to Boruto Shinobi Striker performs adequately on all other fronts. It’s a beautiful game that had no graphical performance issues, the default keyboard controls for the PC version were sensible and didn’t necessitate the use of a controller for comfort, and the chaos of team brawling feels alive and dynamic when you hit a sweet spot with team compositions and player skill levels. Is that enough to make up for the fact that there’s absolutely no narrative in the game? Probably. 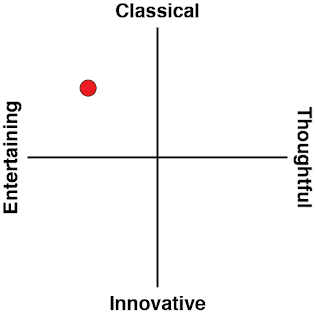 Is that enough to take the game from good to great? Not likely. 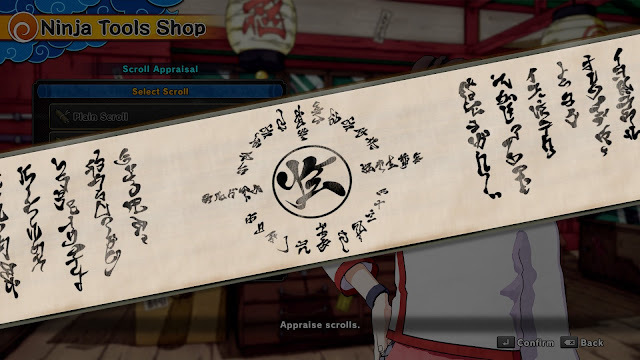 There’s just too many uncertainties about the game, whether it’s the availability of certain game modes on a rotation (not all multiplayer modes are accessible for some reason), matchmaking failing to take into account the defined roles that the game forces you to adopt, and the fact that its engagement with the franchise material feels limited to the inclusion of the main ninja villages and characters that you’d find on soda cans in Japan. If you’re someone that absolutely can’t pass up a piece of the Naruto pie, then this could very well be a worthy pick-up. For those who are on the fence, Naruto to Boruto Shinobi Striker isn’t as convincing as it thinks it might be.